Beth Dobbin won a bronze medal on her first ever appearance for Great Britain at the inaugural Athletics World Cup. The 24-year-old 200m sprinter, from Sprotbrough, finished behind Shericka Jackson of Jamaica and the USA’s Jenna Prandinni in a time of 22.95 at the London Stadium. After the race she told Sky Sports: “It was a blur, the adrenaline was so high but the atmosphere was amazing and the crowd was amazing. It lived up to my expectations and I’m pleased to come away with a medal. “I feel like I got out really well and kicked off the bend well. I tightened up towards the end trying to chase down the girls in front of me but I kind of knew that was going to happen because they are both world class. 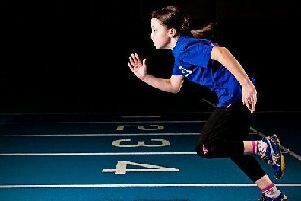 Dobbin, the daughter of former Doncaster Rovers defender Jim Dobbin, recently shot into the limelight after breaking the Scottish 200m record and becoming British champion. She has also qualified for the European Championships in Berlin next month. “I’m glad that we had the World Cup because I didn’t want the Europeans to be my first ever [race for GB] because that would’ve been really overwhelming,” she said. “This has been a stepping stone to the Europeans. 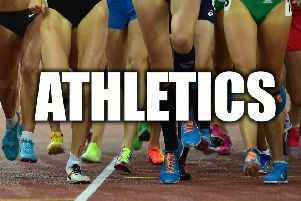 Edinburgh AC athlete Dobbin, who qualifies for Scotland through her father, will run the 100m at this weekend’s Muller Anniversary Games in London as a final tune-up for Berlin. She missed out on Commonwealth Games selection in April by one-hundredth of a second.